#LustList: 10 Gorgeous Add-Ons to Amp Up Your Party Style! We all know that the devil is in the details, and it’s those finishing additions to one’s repertoire that differentiates a well-dressed lady from the most stylish lass in the room. And don’t we all want to be part of the latter category, especially with the oh-so-demanding party season upon us? Don’t panic if your lust-worthy add-ons are not safely secured in your closet yet - we’ve rounded up just what you need! Ear cuffs are a trend du jour this season, and these statement ones are a must-have indeed. Team it with a LBD, printed maxi or pants and a leather top - one thing is for sure, you’ll be turning heads wherever you go. 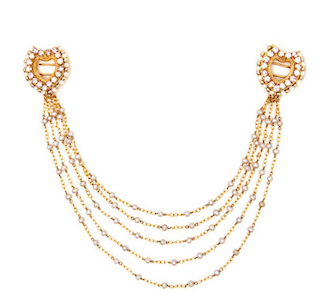 A gold rush is what trend charts dictate this season. So you better stock up on accessories which come in this gilded hue. 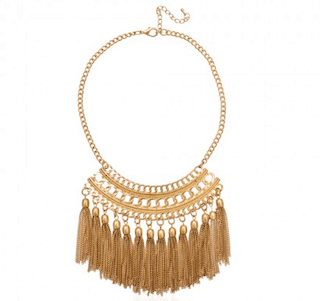 This tribal-inspired necklace is all one needs to glam up a mundane outfit, making it the perfect desk to dinner piece. Headed for a Goa wedding or having unending brunches to attend? 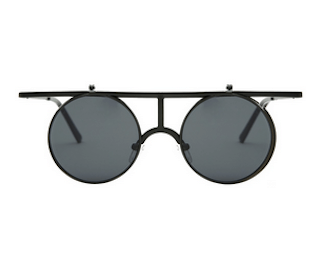 Then these sunnies are ones you can’t do without! So while everyone else is busy flaunting those same ’ol aviators, you can spice things up a bit with these statement sunglasses! Are you someone who often turns to rings to elevate an outfit? Then this army of cuff rings is just what you need this party season. Depending on the soiree you’re headed to, you can wear all or a part of them. 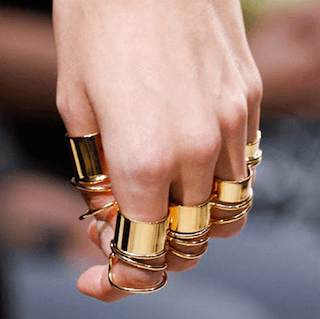 Mix and match them with midi rings you already own for a fitting look. What’s a stellar outfit without a clutch to match? 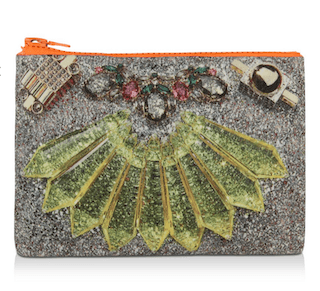 This glitter clutch, designed by ace designer Mawi, packs quite a punch. Its neutral palette will allow you to pair it with a host of ensembles, Indian wear included! 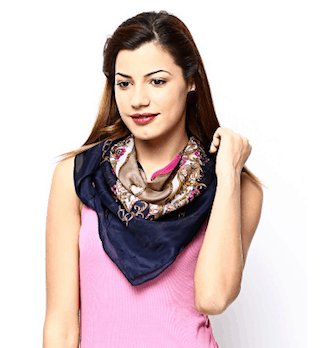 A stylish scarf is a must-have in every fashionista’s wardrobe, especially if you live in colder cities. Not only can this accessory elevate a simple jeans-and-top look, it also allows you to have some fun styling it. So when you’re tired of tying it around your neck, use it as a headband or even as a wrapped bracelet! Win-win, we say. Now, we love our clutches, we really do. But we’d be lying if we said it doesn’t come in the way of all-night dancing. Which is why it’s utterly important to have a versatile crossbody in your party wardrobe too. And we bet this black one will be a trusty companion during many party season shenanigans! Right? Cocktail earrings are all the rage this season, and with good reason too - they sure do elevate a look like nothing else. 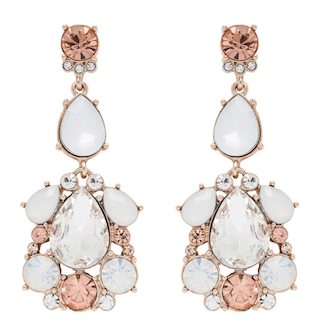 Let these statement earrings steal the spotlight for you this party season. This is all the accessorizing your carefully thought-out New Year’s Eve outfit needs! A flower child at heart? Then how can your party season look be complete without a striking head harness? Wear this Prerto one with denim cut-offs and a white tank when attending a music concert or with a black sequinned sari for your BFF’s cocktail party. Rest assured, this is the head-turner your repertoire was begging for! This is the season of unique, OTT accessories. 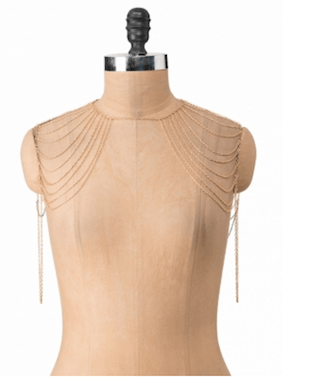 And a body chain features high up on that list. Save the basic ones for lunch with your girls. December warrants you bring out the more look-at-me ones. 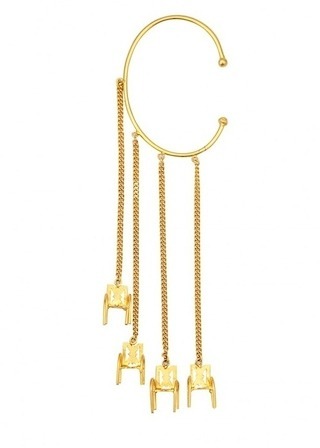 So wear this shoulder harness over a solid-coloured top or plain sheath dress and watch 'em turn to you for style cues. MUST-READ: #PartyPerfect: 5 Hairstyles to Make You Shine This Season! MUST-READ: #PartyPerfect: Style Inspiration from TV’s Trendiest Characters!